Flu Season is Here! Stop by and protect yourself from both the flu and pneumonia this season. 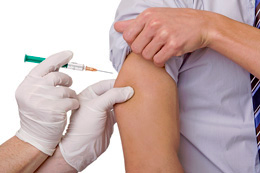 No appointment necessary for these immunizations and most insurances are accepted! Are you 50 years of age or older? You may be at risk for developing shingles. Protect yourself from this painful rash. Ask our pharmacist, Jeff, if the shingles vaccine, called Zostavax, may be right for you.